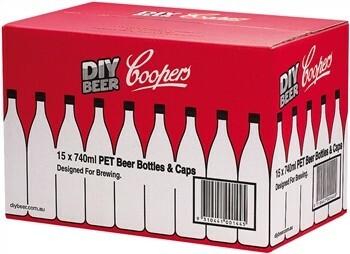 Coopers PET bottles hold 740ml (25 ounces) and are sold in packs of 15. Each pack will bottle 3 gallons of beer. They are reusable, lightweight and shatterproof. Includes package of 15 caps. 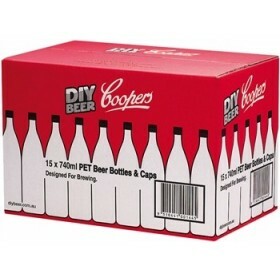 Please note: In order to bottle one batch of beer you will need two boxes of bottles.